Fashionable yet functional design suits any climate. Comfortable and perfect for everyday riding, but offer the benefit of abrasion resistant protection in the critical areas riders need protection. Constructed of high quality durable 12oz. 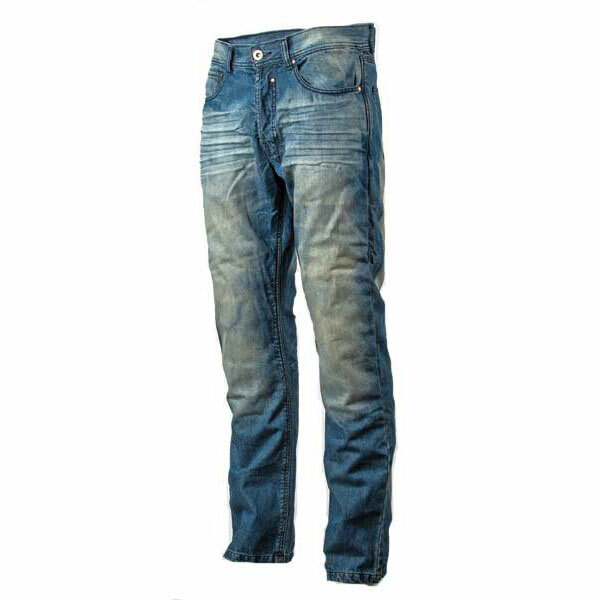 Stone Washed Hand Distressed Denim. Real DuPont Kevlar Reinforcement in all high abrasion and impact areas. High Quality 20mm brushed steel waist button. Optional removable CE certified knee protectors. Perfect to wear over your boots.